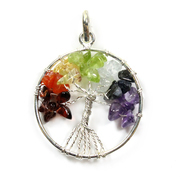 Alongside their natural beauty, many people believe that certain types of stones have deeper meanings, with powers and energies that we don’t fully understand. 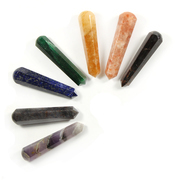 Holistic healers use a range of stones, often as gemstone wands, to work with the energy centres of the body, known as chakras. As with many holistic and alternative therapies, the scientific evidence may be scarce, but the first hand experiences of patients, and the weight of their anecdotal evidence, are hard to deny. 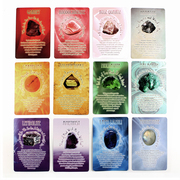 At RockShop Ambleside you’ll find everything you need to help you in your quest to channel the mysterious and mystical powers of crystals and gemstones. With our modern approach to life, it is easy to dismiss holistic healing. Yet these beliefs and practices have been around for thousands of years, long before modern medicines, and are still practiced by many ancient cultures around the world, from Aboriginal Australians to Native American. Here in the UK, the alternative medicine movement is stronger than ever, as people seek out alternative ways to enhance their health and wellbeing, rather than simply popping a pill. With a range of carefully chosen gemstones, and the expertise of local artist and crystal therapist, Jacqueline Winters, RockShop Ambleside is here to support you on your journey as you explore this fascinating field.